The 82ND Academy Awards will be held Sunday, March 7 at 5:00 PM – US (PST) in Los Angeles. 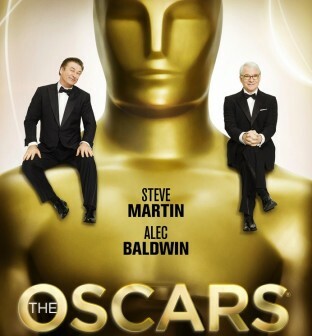 This year ceremony will be hosted by Alec Baldwin and Steve Martin and ABC will be broadcasting the event. 2009 was a good year for the Motion Picture industry both creatively and financially, and the show is likely to do better in the viewing rating than in previous years. Americans will take a much needed break from the grim reality of our times, and the painful daily grind by watching Hollywood’s “Gods & Goddesses” carousing from the red carpet to the auditorium. The Academy members have already voted and the results are probably already cautiously tabulated. With just two days to go, the Kodak theater on Hollywood Boulevard is now under intense security, as the preparations are getting finalized. Today, The News Junkie Post (NJP) is giving you its picks and prognostics in the key categories. The nominations are: Jeff Bridges (” Crazy Heart”), George Clooney ( “Up In The Air”), Colin Firth ( “A Single Man”), Morgan Freeman (“Invictus”) and Jeremy Remer (“The Hurt Locker”). The News Junkie Post pick is Jeff Bridges. The NJP prognostic for winner is Jeff Bridges. The nominations are Matt Damon (“Invictus”), Woody Harrelson (“The Messenger”), Christopher Plummer (“The Last Station”), Stanley Tucci (“The Lovely Bones”) and Christopher Waltz (“Inglorious Basterds”). NJP’s pick is Matt Damon, NJP’s prognostic for winner is Christopher Waltz. The nominations are: Sandra Bullock (“The Bind Side”), Helen Mirren (“The Last Station”), Carey Mulligan (“An Education”), Gabourey Sidibe (“Precious”) and Meryl Streep (“Julie & Julia”). NJP’s pick is Carey Mulligan. NJP’s prognostic for winner is Sandra Bullock. The nomination are: Penelope Cruz (“Nine”), Vera Farmiga (“Up In The Air”), Maggie Gyllenhaal (“Crazy Heart”), Anna Kendrick (“Up In The Air”) and Mo’Nique (“Precious”). NJP’s pick is Maggie Gyllenhaal. NJP’s prognostic is a win for Mo’Nique. The nominations are: “Avatar”, “The Imaginarium of Doctor Parnassus”, “Nine”, “Sherlock Holmes”, and “The Young Victoria”. NJP’s pick is “The Imaginarium of Doctor Parnassus”. NJP’s prognostic is a win for “Sherlock Holmes”. The nominations are: “Avatar”, “Harry Potter & The Half-Blood Prince”, “The Hurt Locker”, “Inglorious Basterds” and “The White Ribbon”. NJP’s pick is “Avatar”. NJP’s prognostic is a win for “Avatar”. The nomination are: “Bright Star”, “Coco Before Channel”, “The Imaginarium of Doctor Parnassus”, “Nine” and “The Young Victoria”. NJP’s pick is “The Imaginarium of Doctor Parnassus”. NJP’s prognostic is a win for “The Young Victoria”. The nominations are: “Avatar”, “The Hurt Locker”, “Inglorious Basterds”, “Precious” and “Up In The Air”. NJP’s pick is Kathryn Bigelow for “The Hurt Locker”. NJP’s prognostic is a win for Kathryn Bigelow. The nominations are: “Avatar”, “District 9”, “The Hurt Locker”, “Inglorious Basterds” and “Precious”. NJP’s pick is “District 9”. NJP’s prognostic is a win for “District 9”. The nominations are: “Ajami” (Israel), “El Secreto De Sus Ojos” (Argentina), “The Milk of Sorrow” (Peru), “Un Prophete” (France), and “The White Ribbon” (Germany). NJP’s pick is “Un Prophete”. NJP’s prognostic is a win for “Un Prophete”. The nominations are: “Il Divo”, “Star Treck” and “The Young Victoria”. NJP’s pick is “The Young Victoria”. NJP’s prognostic is a win for “Star Treck”. The nominations are: “Avatar”, “Fantastic Mr. Fox”, “The Hurt Locker”, “Sherlock Holmes” and “Up”. NJP’s pick is “Avatar”. NJP’s prognostic is a win for composer James Horner for “Avatar”. The nominations are: “Almost There” (The Princess & The Frog), “Down in New-Orleans” (The Princess & The Frog), “Loin De Paname (Paris 36), “Take It All” (Nine) and “The Weary Kind” (Crazy Heart). NJP’s pick is “The Weary Kind” original theme for “Crazy Heart”. NJP’s prognostic is a win for “Crazy Heart”‘s theme song. The nominations are: “District 9”, “An Education”, “In The Loop”, “Precious”, and “Up In The Air”. NJP’s pick is “District 9”. NJP’s prognostic is a win for “District 9” written by Neil Blomkamp and Terri Tatchell. The nominations are: “The Hurt Locker”, “Inglorious Basterds”, “The Messenger”, “A Serious Man” and “Up”. NJP’s pick is “Inglorious Basterds”. NJP’s prognostic is a win for “Inglorious Basterds” written by Quentin Tarantino. The nomination are: “Avatar”, “The Blind Side”, “District 9”, “An Education”, “The Hurt Locker”, “Inglorious Basterds”, “Precious”, “A Serious Man”, “Up”, “Up In The Air”. NJP’s pick is “District 9”. NJP’s prognostic is a win for “Avatar” directed by James Cameron. Please read The News Junkie Post’s film reviews for District 9, Avatar, Crazy Heart, Up In The Air and Julie & Julia. To visit the official web site of the Academy Of Motion Picture Arts & Sciences click here. Editor’s Note: Please follow The News Junkie Post on Twitter. May 20, 2010 Did Naomi Campbell Receive Blood Diamonds From Liberia’s Dictator? If Jeff Bridges finally wins an Oscar, that is awesome. He deserved one years ago.